>We recently returned from a cruise in the eastern Caribbean with my husband’s siblings. What was supposed to be a seven-night cruise turned into a five-night cruise when we missed our connection to Miami due to fog in Memphis. The quickest possible alternate connection brought us to Miami about a half hour after the ship’s departure. As we banked over Ft. Lauderdale on our descent to the Miami airport, we saw our ship headed out to sea. It was a sad moment. But since we had purchased the “air-sea” package, the cruise line was great about making and paying for alternate arrangements. We stayed one night in Miami and flew the next day to San Juan. We stayed in historical Old San Juan, with its narrow streets and bright buildings. That evening we explored Ft. San Cristobal, an ancient and fascinating fortification that the Spanish had built up over 250 years, but lost to the United States in the Spanish America War. The next morning we visited Ft. Morro, on the northwest corner of Old San Juan (and the island of Puerto Rico). That afternoon our ship docked at the pier directly in front of our hotel! We pulled our suitcases across the street and were finally permitted to board. While we were in port, the Freedom of the Seas docked beside us. It is the largest cruise ship in the world. Most of our stops on land showed us contrasts between rich and poor, spectacular natural beauty and depressing material squalor. 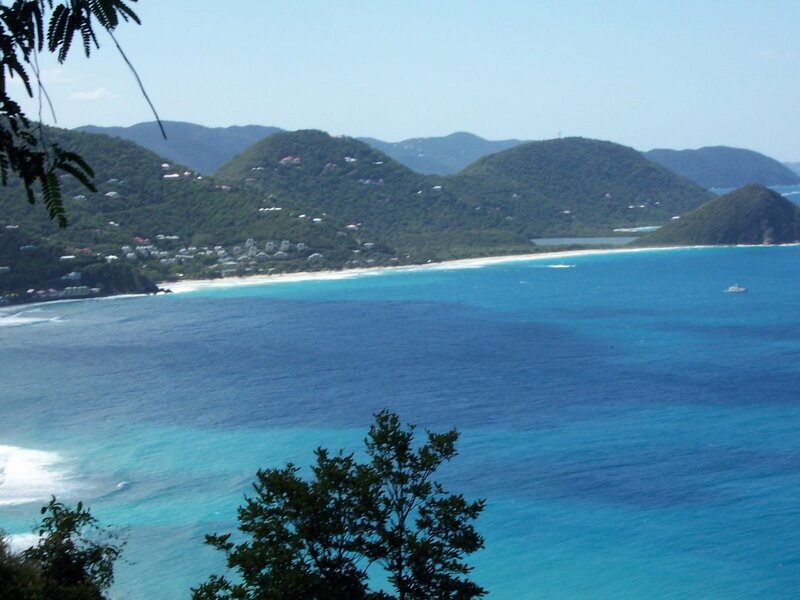 Our next port of call was Tortola in the British Virgin Islands. On a tour into the mountains, we drove past abandoned cars and took pictures of beautiful bays. When we stopped in the Dominican Republic, black smoke billowed from factory smokestacks over a beautiful beach and turquoise bay. We rode inland through what seemed like a thousand acres of cane fields. Our tour guide cut a stalk into pieces for us to chew. We drove through a forest, past pastures with Brahma cattle and lovely horses, past men trimming trees and putting the branches into an ox-drawn cart, and into Humano, a sea of teeming humanity. Small nicely-painted villas with gated doors stood next to scrap iron yards and bars. On Friday, we stopped on the north coast of Haiti at a private resort area owned by a cruise line. It was a lovely mountainous area with nice beaches and jewel-colored bays. Dave and I went on a snorkeling excursion at a coral reef just five miles from where the Santa Maria, one of the three ships of Christopher Columbus, sank. The reef was so close to the surface we could stand on it, so we could clearly see the gorgeous colors. Dave rented an underwater camera and got some very nice pictures of many different kinds of coral, underwater plants, fish, and sea urchins. It was quite depressing to fly back to the Midwest and see all the ice and snow. It was wonderful to be on this final cruise with all of us together, learning interesting history and seeing God’s beautiful creation. What a blessing to relax in the sun and enjoy a week free from arthitis pain! I am very thankful God allowed us this opportunity. And I am also thankful for our home and for the work that allows us to live in it. >Hi Glenda,Great to read about your cruise! Beautiful pictures too! I read your story, I saw the pix and it all made me sigh: Ah, one day, one day… esp. looking outside at the big amount of snow we just had. Oh, and it just started snowing again. But Spring will come…. in time. There’s a time for everything.